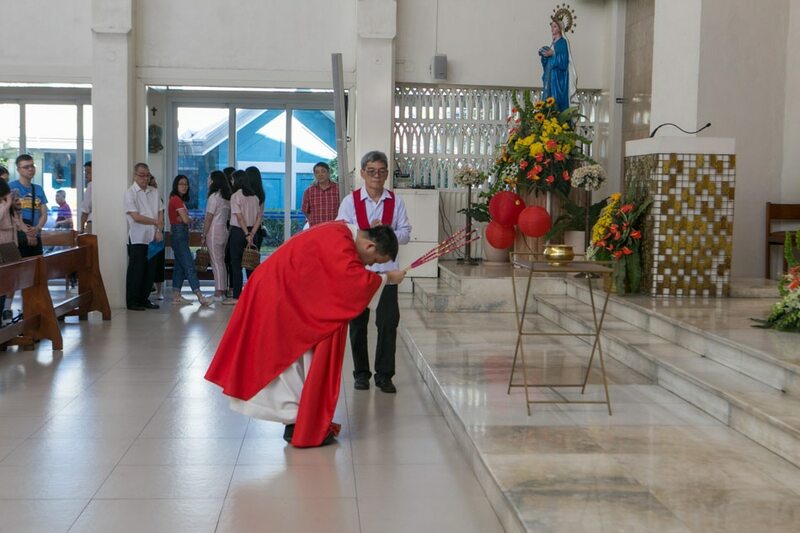 Rather than shunning traditional Chinese practices and risk alienating a significant sector of its community, a church in San Juan City incorporates age-old Chinese traditions into its Roman Catholic Holy Mass. 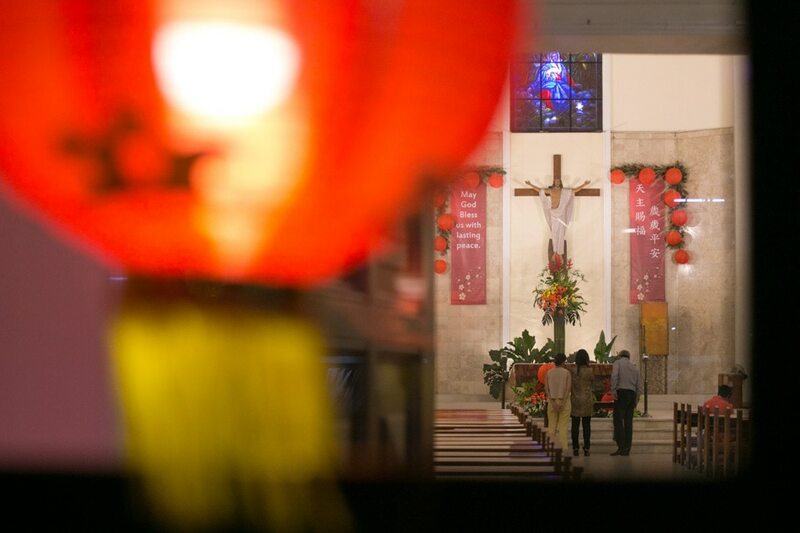 The movement of inculturation in the Catholic faith is not a new concept, according to Jesuit Priest Fr. 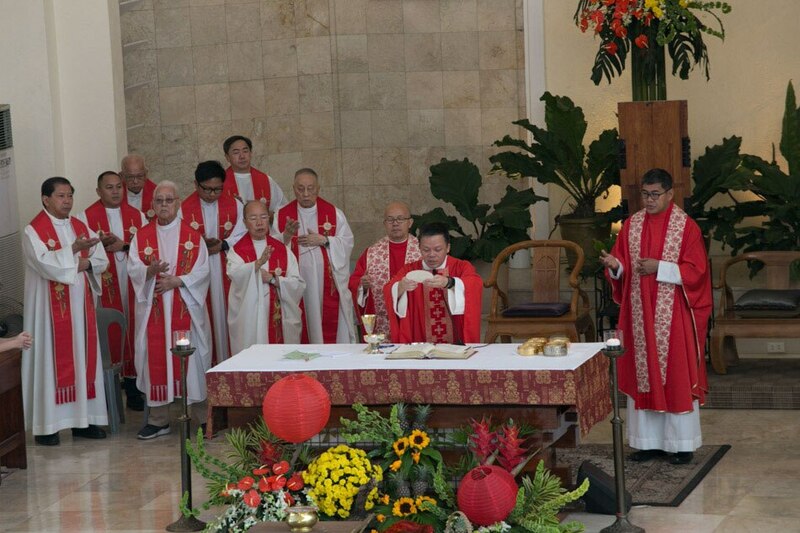 Aristotle Dy, citing existing practices of merging God's Gospel with particular cultures. 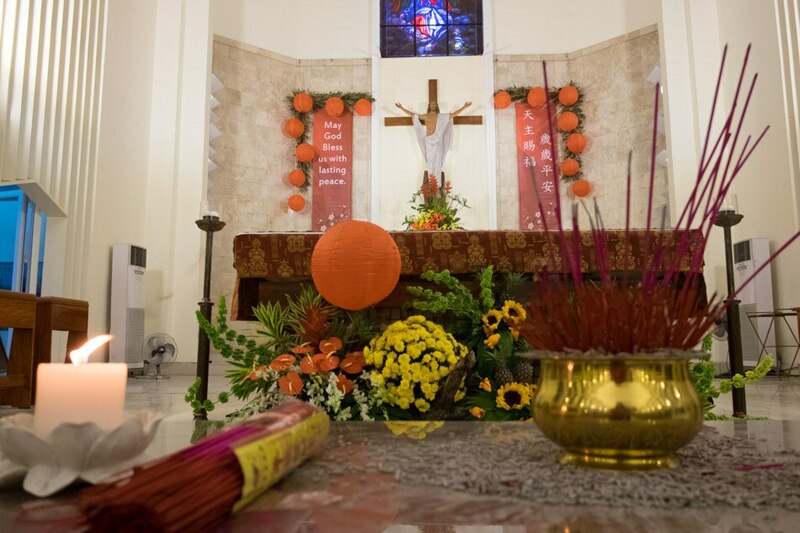 After Vatican Council II, the Catholic Church began to move away from a “one size fits all” approach on Roman rites and studied how the Gospel could be expressed in different cultures as part of the church's mission to spread God’s word. 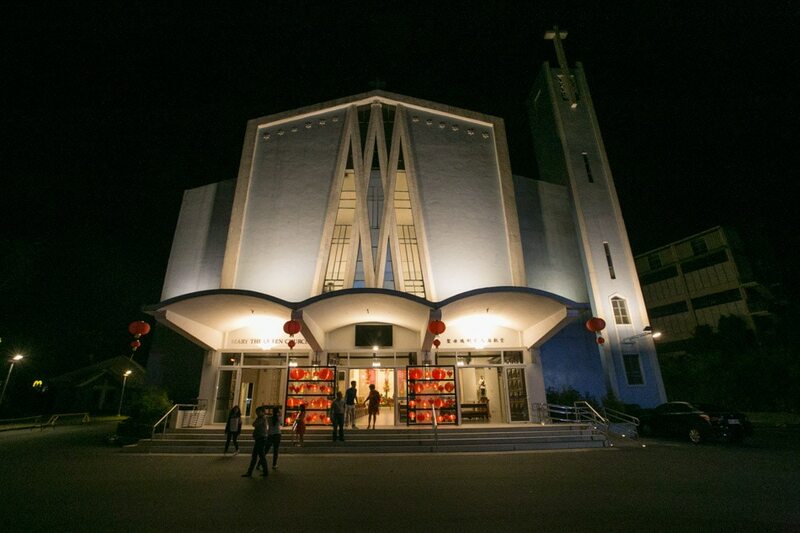 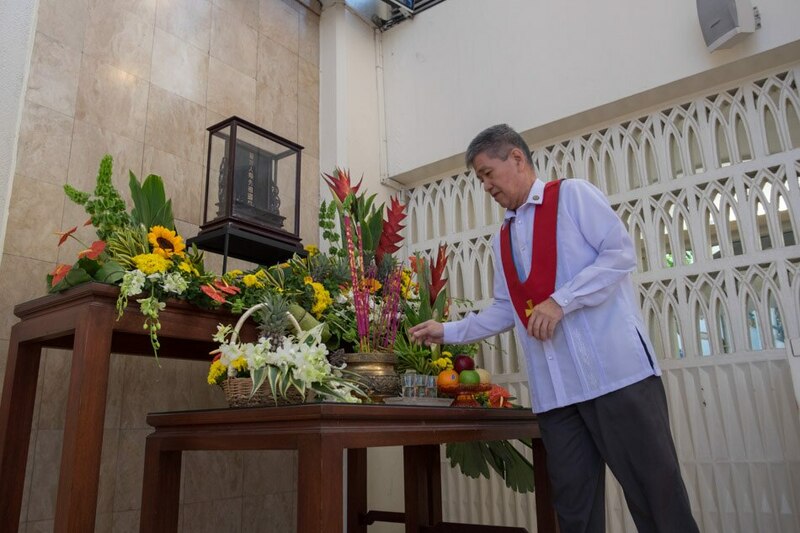 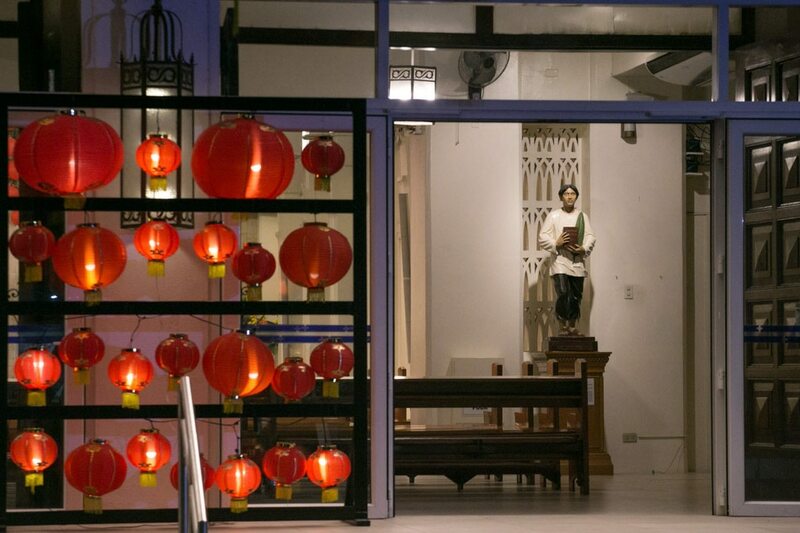 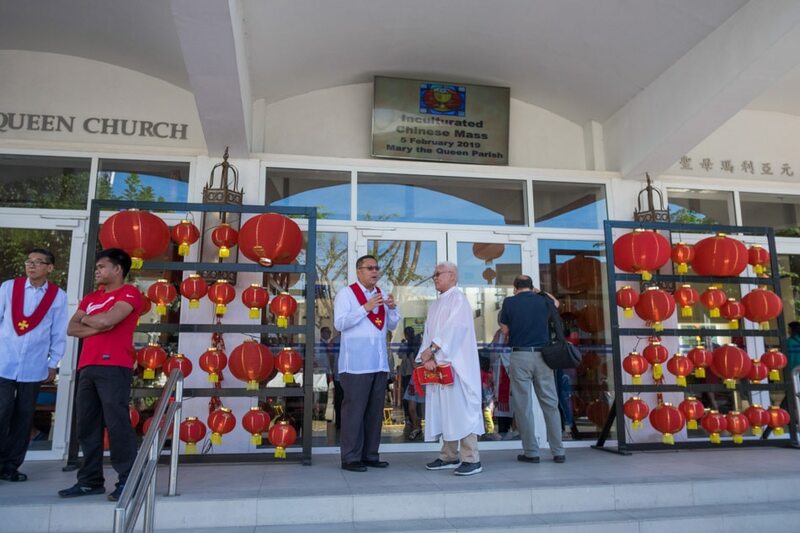 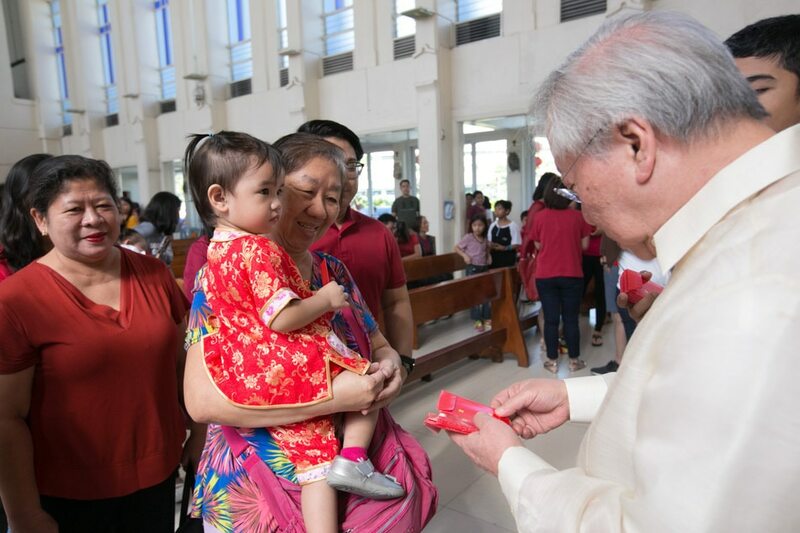 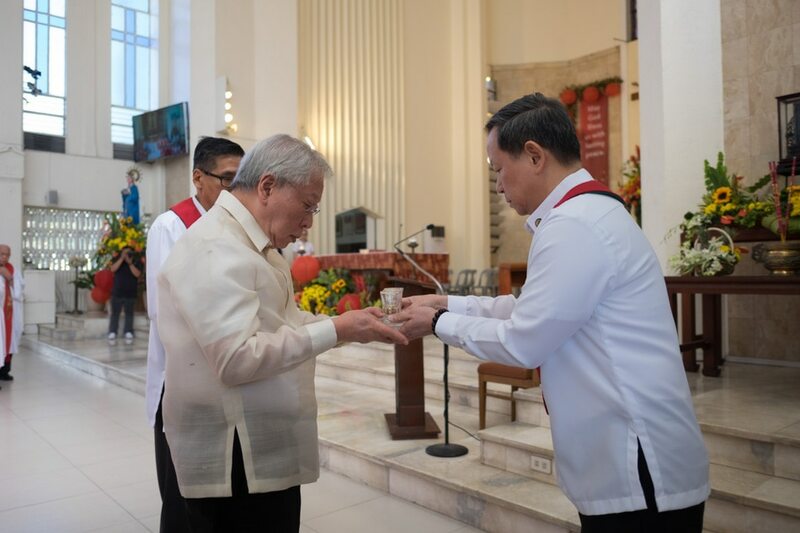 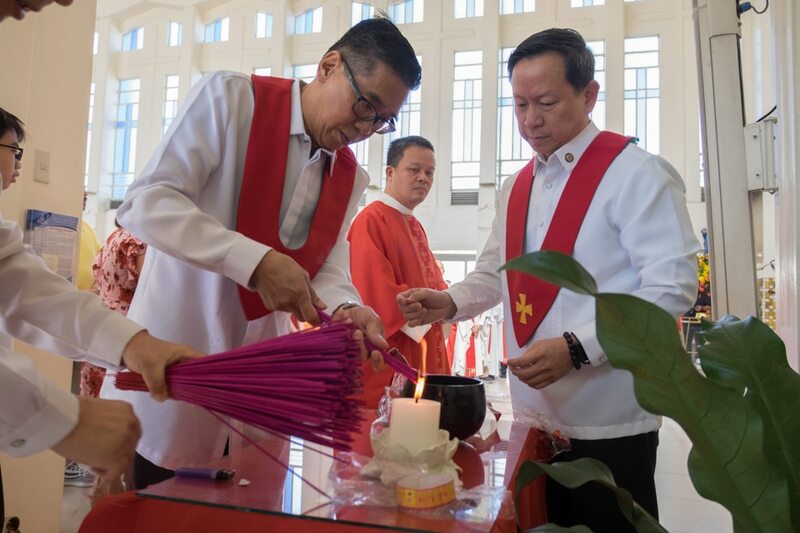 As a way of integrating Chinese cultural practices, the Mary the Queen Parish opened its doors on the eve of the New Lunar Year to Chinese-Filipino Catholics so they can light their first incense sticks in the Year of the Earth Pig. 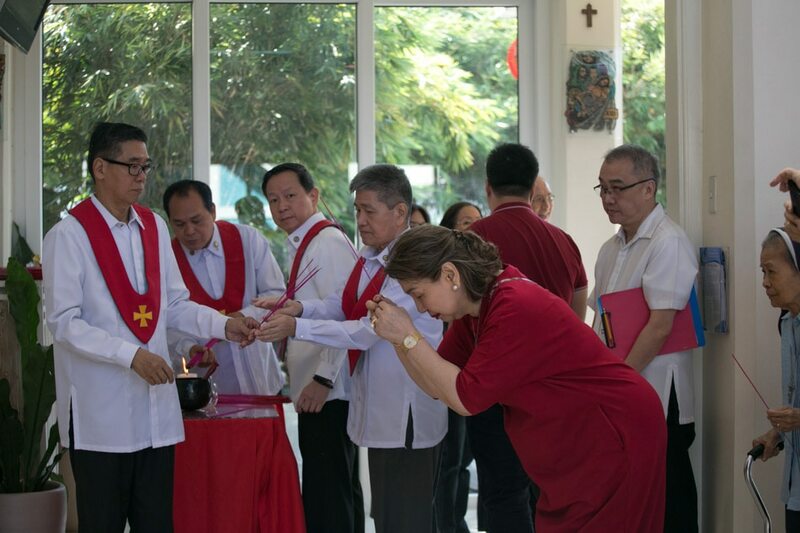 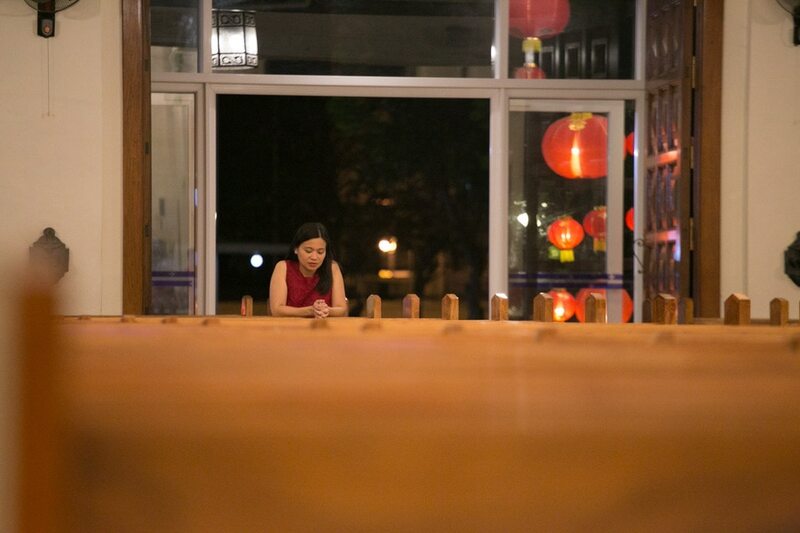 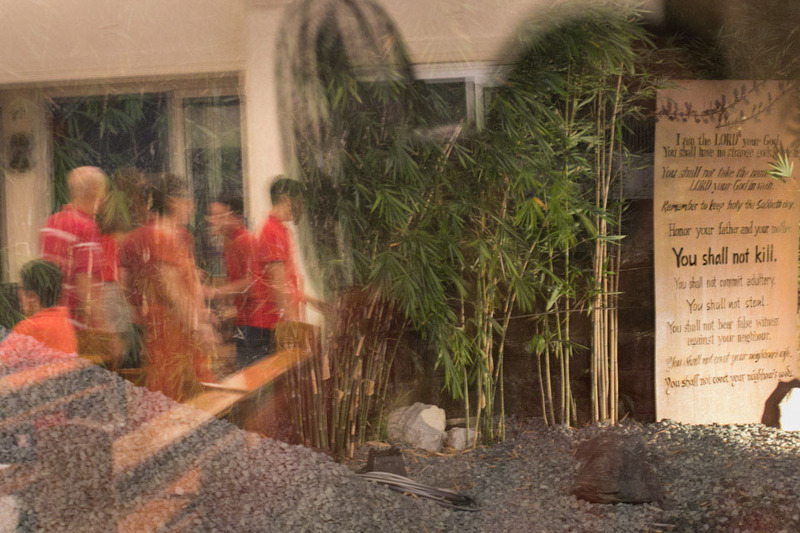 Chinese-Filipino Catholics commonly have to go to Buddhist and Taoist temples to light their incense sticks. 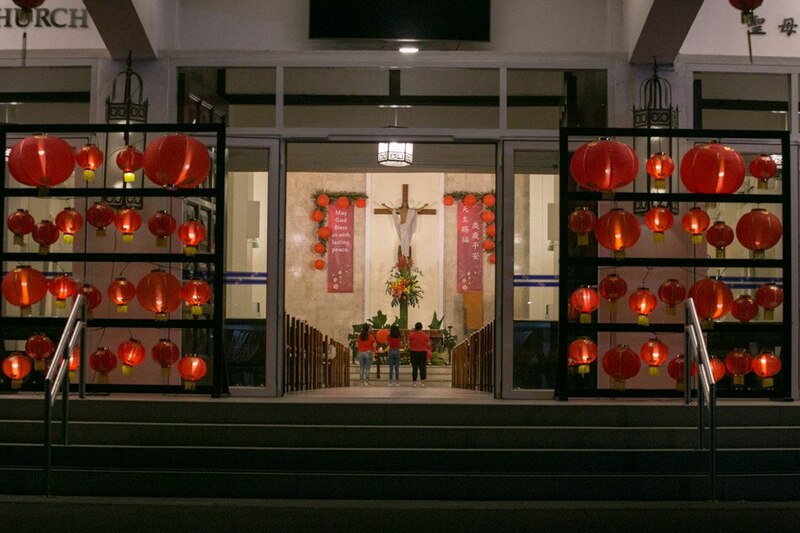 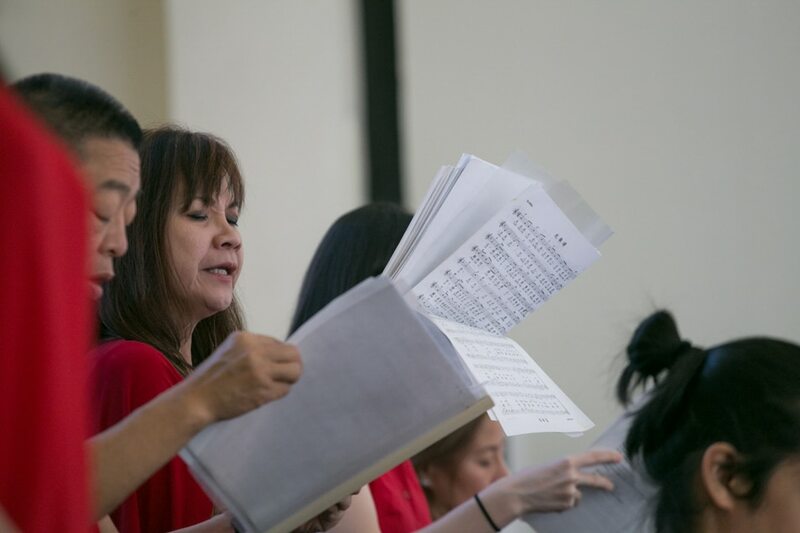 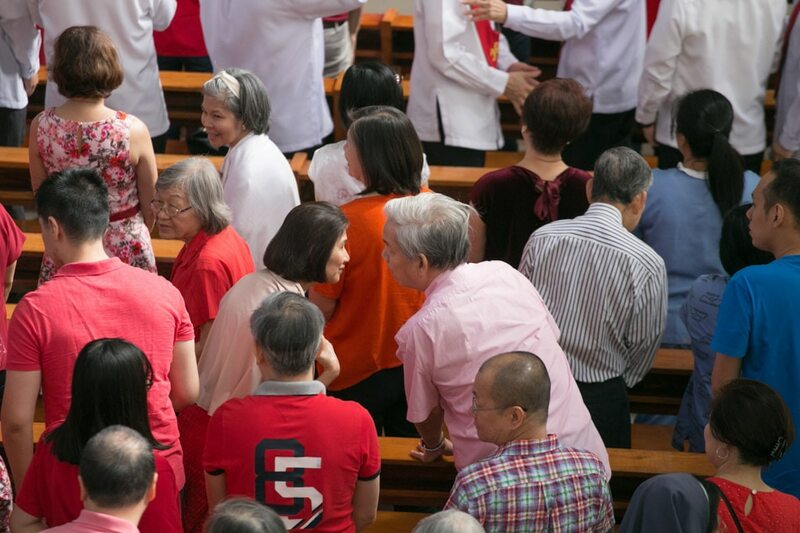 The parish began an Inculturated Chinese Mass 5 years ago, where devout Catholic Chinese welcomed the New Year through prayers and the Liturgical celebration infused with English readings, Chinese songs and traditions. 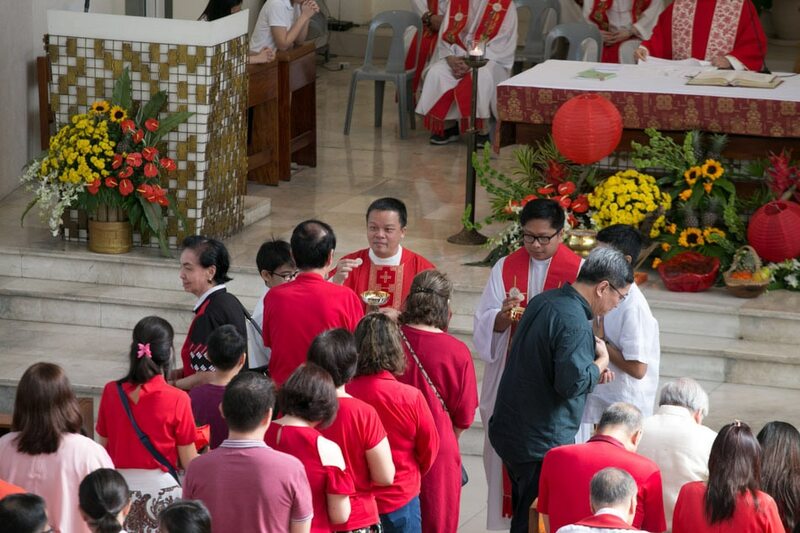 Ancestor-veneration followed after the Mass with parishioners lighting their incense at the Ancestor Altar at the side altar of the church. 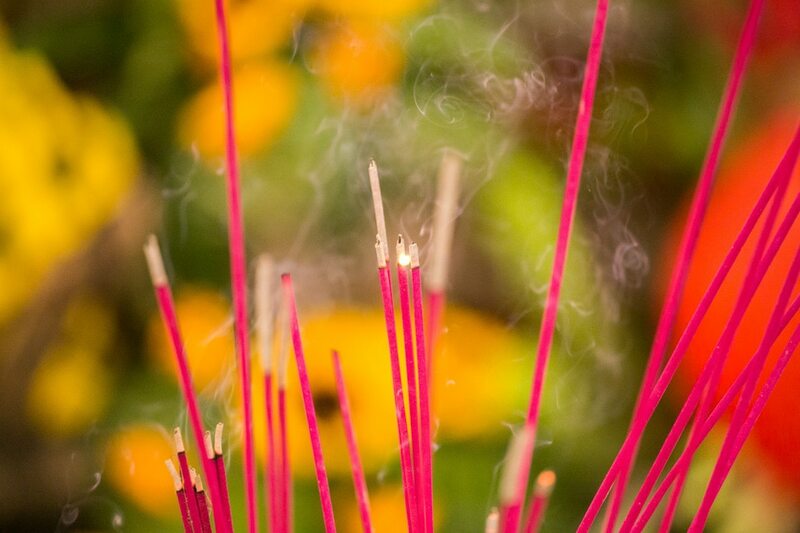 Incense lighting, which is often seen as a Buddhist tradition, is similarly used during Catholic worships for purification and sanctification. 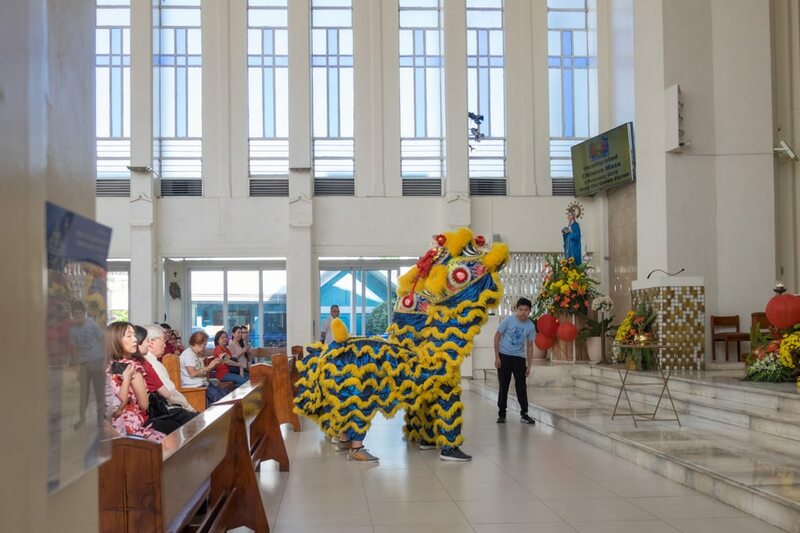 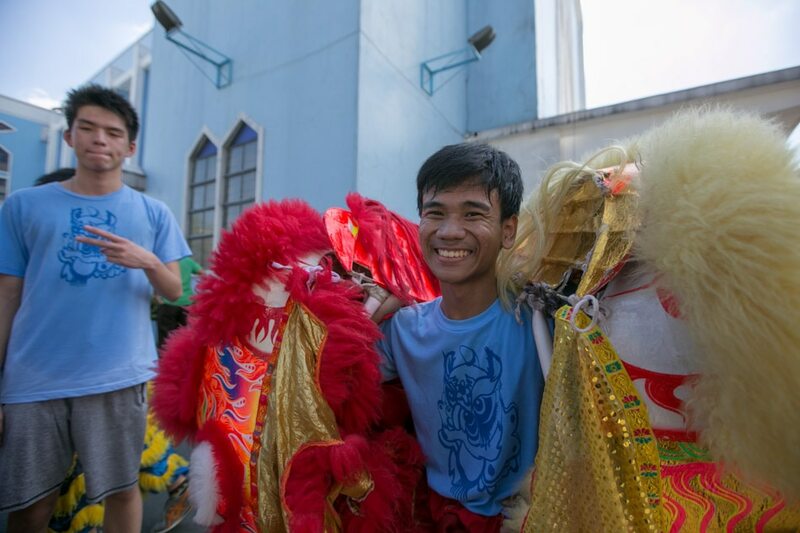 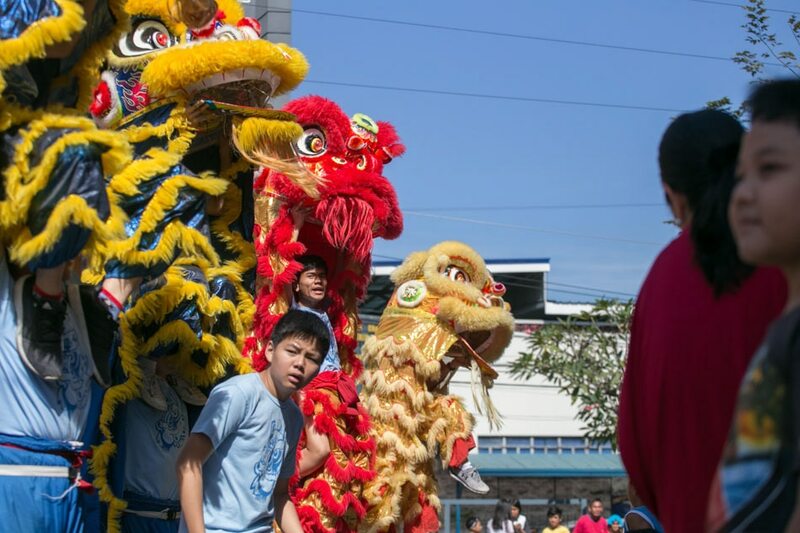 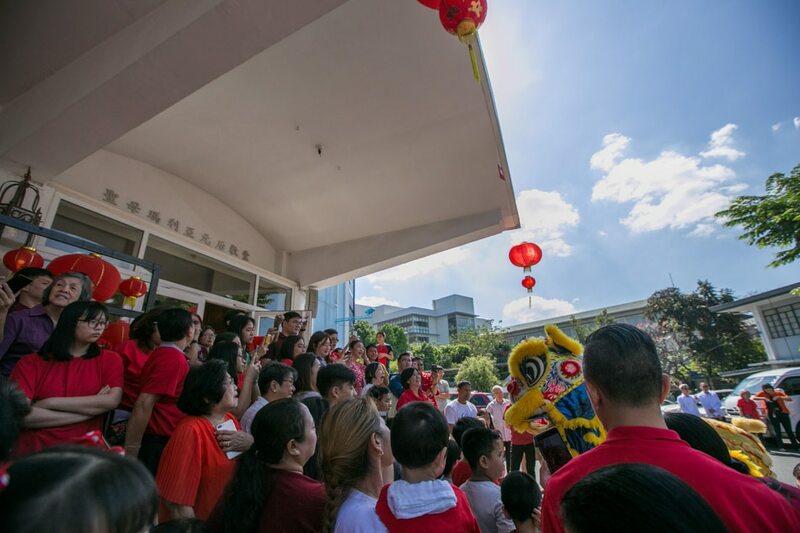 To cap the celebration, parishioners were treated with the festive Dragon and Lion dance at the church patio performed by the Xavier School Dragon and Lion Dance troupe. 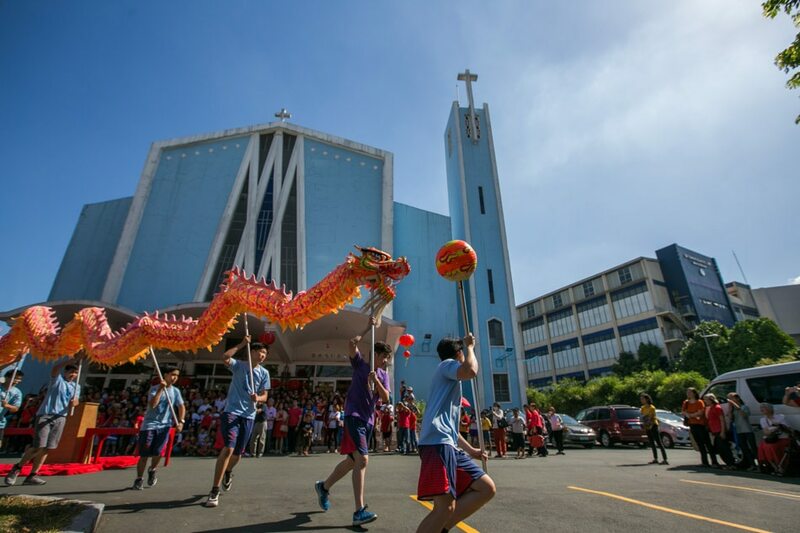 This is part of Xavier School’s program to promote deeper understanding of Chinese cultural traditions among its students.